Welcome to this beautiful spacious One Story home. 4 bed/4 bath has many fabulous features. 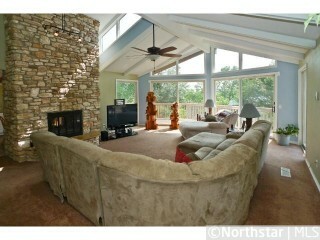 Enjoy main floor owner's suite, indoor hot tub room, 2 fireplaces, and much more! Don't miss your chance to enjoy the view of the St. Croix River from the 3 decks!